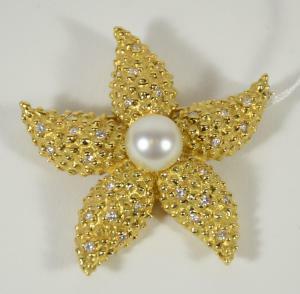 18kt yellow gold diamond and pearl starfish pin. 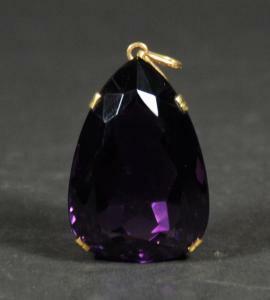 18kt yellow gold 100 carat amethyst pendant. 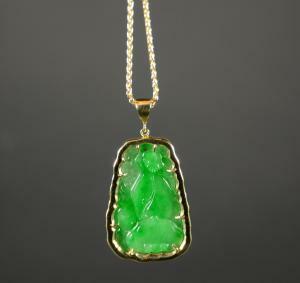 18kt yellow gold jade and diamond pendant necklace. 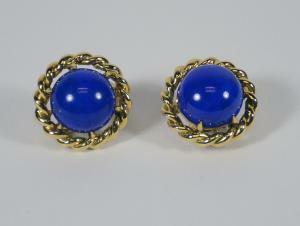 Pair of 18kt yellow gold lapis lazuli ear clips. 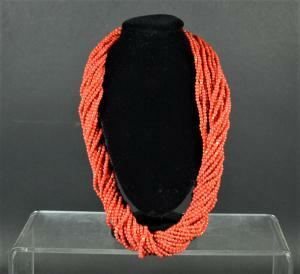 Twenty-strand coral beaded torsade necklace. Vollrath is the German-born designer of handmade custom jewelry who cut his teeth at Cartier and operated several boutique retail jewelry stores in New York. BLOOMFIELD, N.J., UNITED STATES, August 14, 2018 /EINPresswire.com/ -- BLOOMFIELD, N.J. – Fine jewelry items from the estate of Claus Vollrath1 – the German-born designer of handmade custom jewelry who cut his teeth at Cartier3 after immigrating to America and later operated several boutique retail jewelry stores in New York before passing away – will be sold in an online-only auction on Wednesday, August 29th, by Nye & Company Auctioneers. About 125 lots will come up for bid starting at 10 am Eastern time. The estimates have been set very low, to encourage spirited bidding. All lots can be previewed at exhibitions that will be held weekdays, from 10 am-4 pm, in the Nye & Company Auctioneers gallery at 20 Beach Street in Bloomfield, from August 20-29. Items will include an 18kt yellow gold pearl diamond starfish, an 18kt yellow and white gold U-link necklace, a platinum and pave diamond dome ring, a pair of 18kt yellow gold diamond earrings, a pair of mother-of-pearl flower form earrings, and an 18kt white gold U-link necklace. Also offered will be a gray and black Tahitian pearl necklace, a white baroque freshwater pearl necklace, a 20-strand coral beaded necklace and a sapphire beaded 14-strand necklace. Internet bidding will be facilitated by LiveAuctioneers.com. There will be no live bidding for this sale. The name Claus Vollrath has always stood for unique handcrafted jewelry. For years he delighted his faithful and longstanding clients with premium white and fancy colored diamonds, radiant precious colored stones, freshwater and South Sea pearls, imported 18-karat gold and platinum chains from Germany and Italy and many other treasured items. Vollrath was trained in his native Germany and his fine craftsmanship earned him a place at Cartier in America. Ten years later, he began creating his own original designs and opened a wholesale workshop in midtown Manhattan. Later on, he opened jewelry boutiques on Madison and Lexington Avenues, and lastly in Mt. Kisco, in tony Westchester County, N.Y. When Claus passed away, his wife Irma continued his legacy of providing clients with only the finest jewelry and personalized customer service. She contacted Henry Larrieu, an apprentice jeweler trained by Pierre Cartier. Together with his son and grandson, they continued the long tradition of custom making Claus and Irma Vollrath2's jewelry designs. With the passing of Irma Vollrath in 2017, the remaining inventory of Claus Vollrath, Inc. will now be sold to customers and friends. This is a rare and golden opportunity to buy and own pieces from one of the finest goldsmiths and designers. For more information about Nye & Company Auctioneers and the jewelry auction scheduled for Wednesday, Aug. 29th, visit www.nyeandcompany.com. Updates are posted often. The full color catalog is available for viewing at www.nyeandcompany.com and www.LiveAuctioneers.com.